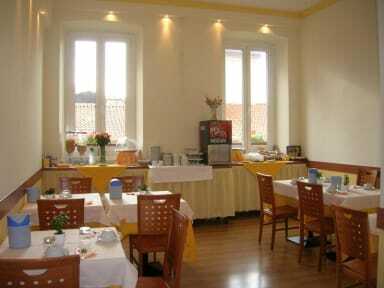 Hotel Alabarda is located in the historical centre of Trieste. It's pretty near to the central train station, the terminal and the international airport, and the congress centre of Trieste. We have young and dynamic staff that are always attentive to its clients' needs so come and visit us - this is the best option for you in Trieste! Great location. Stefano runs the place and is very generous with his time. Due to a missed flight connection, I arrived in Trieste at 11:50 pm! Stefano came and picked me up from station. I stayed in a private room and it was well worth the price. This is a nice quiet hostel in a great location. There’s for sure not a party atmosphere but this definitely isn’t a bad thing. I was only here for one night as a stop on my way from Italy to Croatia and it was in the perfect location to easily get to the train/bus station and also the main square all in 5-10 minutes, so it’s great for traveling and sight seeing. Seems like a very safe location as well, I walked back after dark and felt quite secure. My bed felt like a hammock with a lump in the middle. Also there was only one bathroom on the first floor for 20 persons. Toilet smelled filthy. Staff was helpful though and location was excellent. Convenient location but questionable facilities, no problem for one night stays. This hostel exists because it's quite big and cheap compared to other options in Trieste (especially when you book last minute!) However it is quite a poor choice, that somehow combines all the disadvantages of a hostel and of a hotel. 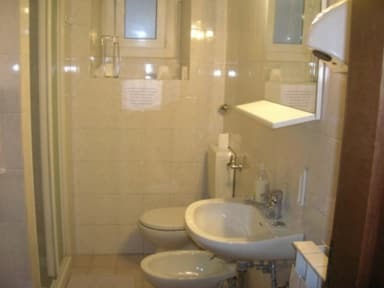 There are very few (not so clean) bathrooms compared to the number of rooms, and the rooms themselves are not really comfy and super hot. It's ok for one night, but you'll definitely won't spend a good night there and so many things could be improved! Was put in a 4 bed dorm which was full, the beds were very close together. Unbeknownst to me there were only 2 working power sockets that were already taken by the other guests who screamed at me upon trying to connevt the fan during 35 degree heat. I ended up taking my matress and the fan into the common room to eventually get some much needed sleep in the filtht hostel. Would not stay here unless at a push. Weird vibes and definitely overpriced considering how unpleasant the bathroom and common area was. I can recommend you to look for another Hostel, as this is inacceptable with its cleanliness! We had bed bugs in our room (#23), electricity was not fluently working, the bathroom was not cleaned. We mentioned those points to the staff but they did not seem to be very interested in those points. We had to cancel the rest of our holiday as we had too many bed bugs in our bags. The location at least was very good, and the prize as well.